Bought two of these float Vests - one for my one year old (size 1-2) and another for my three years old (size 2-4). These were excellent quality, and at a great price! Great brand, great quality. Looked really nice and bright on our holiday too. Definitely recommend this product. Excellent customer service from newitts. Sizing was perfect as advised by Diana (customer advisor). A really good product exactly what we wanted. Great product, my son really enjoyed wearing it. Fantastic quality and price. I had borrowed a blue one of these for my son, but had to return it. Bought two red ones - one for my 4 year old son and one for my daughter (nearly 2). They love them!! Great price (best I saw out there) and fast delivery too - really pleased. Product arrived very quickly and was well packed. It is perfect for my 5 year old grandchild, who obstinately refused to get into the water previously , whatever precautions we took. She has now "swum" the swimming pool length with it on. Thank you! Anita Cameron, Cambridgeshire. Bought these for my son and Daughter. They love them, it has really help with there confidence in the water. 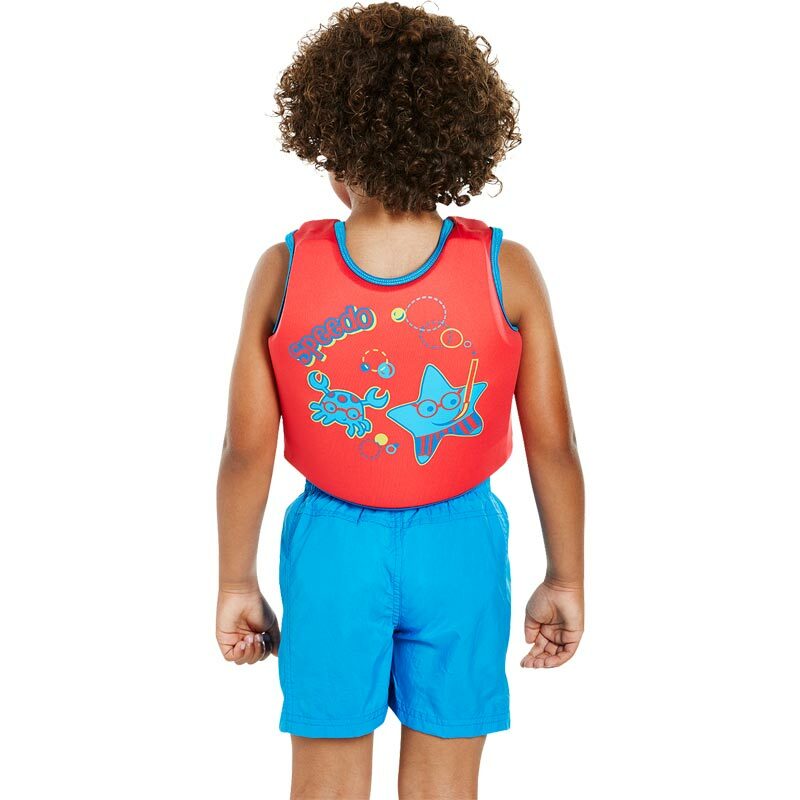 Our LITTLE FISH is having great fun in the water wearing his speedo Sea Squad Float Vest. Think I'll buy them as baby gifts. Such a great idea. I bought these for my 2 and 3 year old and they love them. Very easy to take on and off and they felt confident in the water. Would definitely recommend them. Good quality jackets for my kids. I feel more confident about them being in the water when they're wearing them. This vest have my 20 month old grandson a much needed boost in confidence. Very happy with the price and the fit of the vest. It Fitted perfectly. Quick dispatch. Good value as is more expensive at the pool. Tight fitting for good support. My five year old son has just started swimming lessons and our locks pool use these vests. They fit my son perfectly and he has gained so much confidence with swimming. It is easy for him to put on and he can do all different strokes without the buoyancy aid getting in the way like arm bands or swimming fins do. I highly recommend this product ?? Excellent jackets. We bought two, one for our special needs son age 6, and one for our toddler age 2, they have great buoyancy and boys are comfortable wearing them. Dry quickly after use too! This product is perfect for my Grandson, and gives peace of mind. Looks cool too. Newitts ordering was easy, and delivery was very quick and efficient with a return label, which I did not need but was reassuring to have. Excellent follow up emails from Newitts too. Thank you for your great service. My item arrived on time and your staff were very helpful. The vest has helped my daughter's confidence in the swimming pool and she loves her swimming now! Will be using you again and have recommended you to others. We are very happy with this purchase. 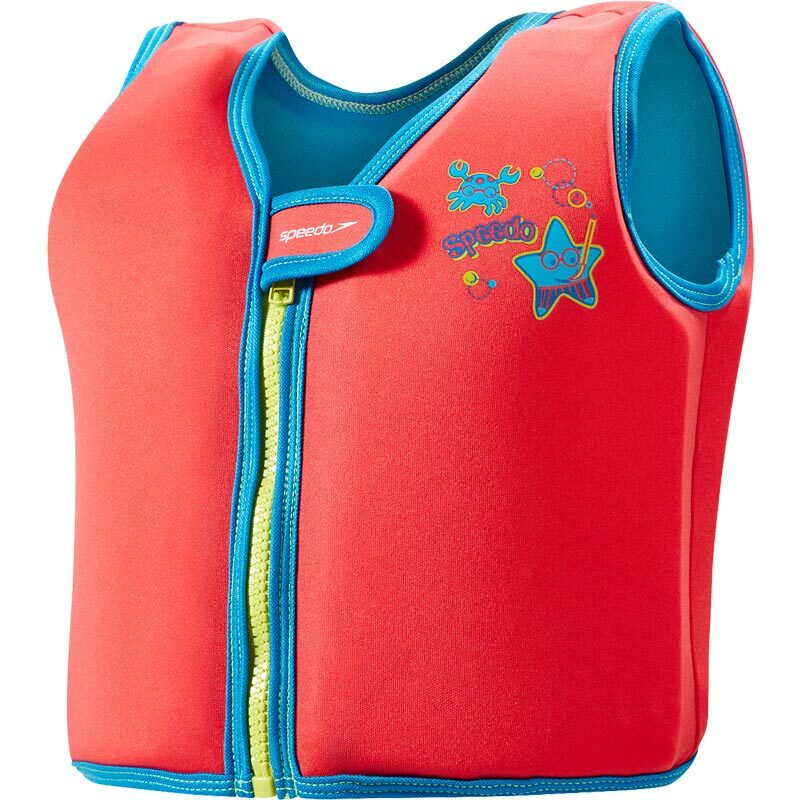 We bought this swim vest for our daughter she is 2 & half now… she loves this swim vest, we have got size 2-4 and it perfectly fits her, Thank you. Great product, gave my daughter the confidence to swim on her own without it after 2weeks. Left the arms free to move unlike arm bands. Highly recommended this product. Used on holiday this summer, gave my son and daughter who have just started to learn to swim confidence to go swimming in the large hotel pools and the sea. A lot better than arm bands..
5 out of 5 Best holiday buy! Bought one for both my son(aged 3) and daughter (aged 5). They loved the design, were easy to see in the pool and once my son got familiar with it in the water they were both super safe when out of their depths. Sizing was perfect for both and didn't leave marks under their arms like the previous swim vest (another brand). Worth every penny! Perfect when they are learning to swim.it gives them great confidence in the water and piece of mind for you.